Maldon East. 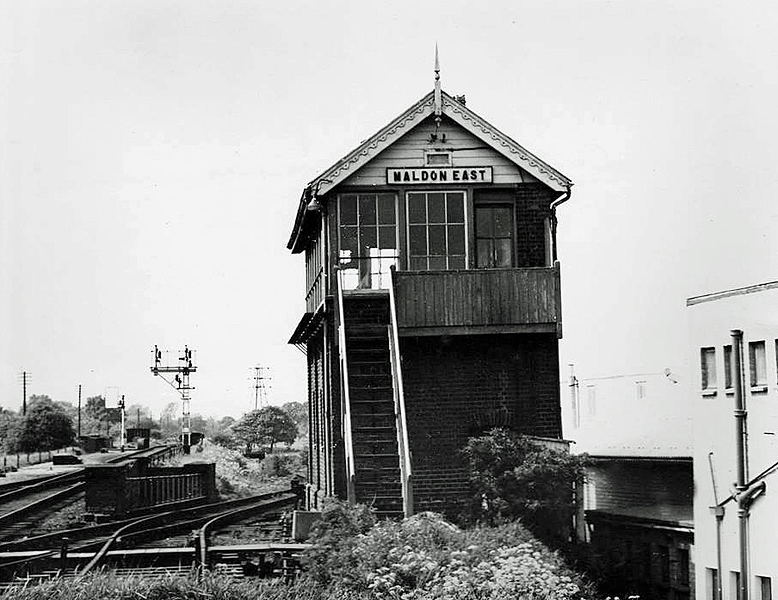 A view of the signal box which was located on the Witham side of The Causeway crossing gates. The goods service on the line had recently ceased (18th April 1964) and the signals have had their signal arms removed. In the far distance behind the signals can be seen the bridge over the River Chelmer (No 858). The line immediately to the left of the box connected a wharf on the River Chelmer to the main line. Image dated 15th May 1966. With kind permission of Jim Wyatt.